What makes this condo one of the unique spots in the world is it's location. 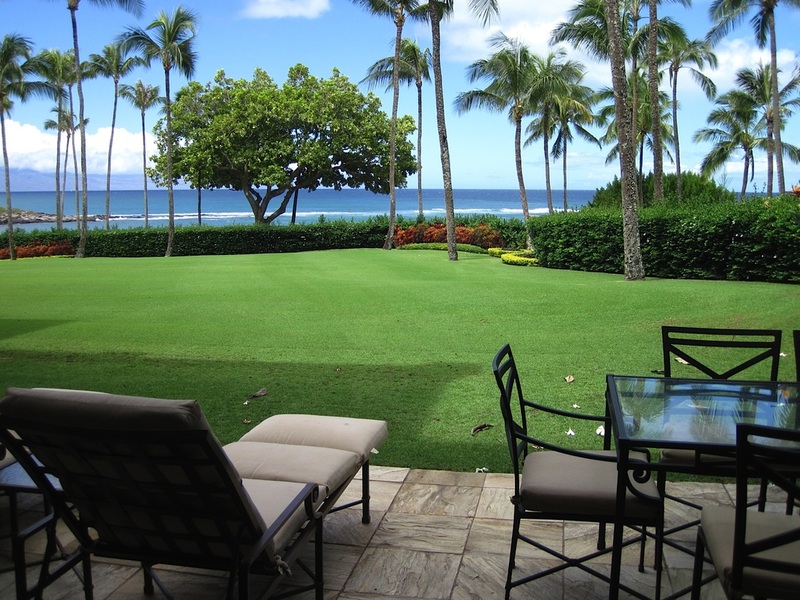 As you sit on the lanai, the only thing between you and the beach is the large private lawn. Coconut Grove is a gated community and this condo is an end unit, so, even when you are sitting outside, you often feel like you are alone at this beautiful spot a few steps from the water. And the lawn is a great playground for playing catch or throwing a frisbee. The amenities in Coconut Grove include an infinity pool, a hot tub, and a workout room all within a few footsteps of the condo. 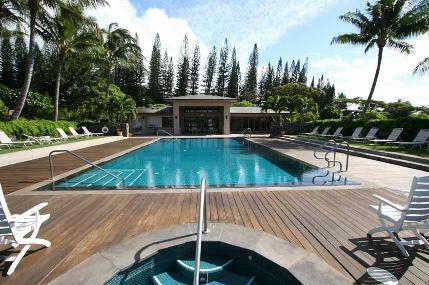 Voted the Best Beach in the World by Conde Nast Traveler, Kapalua Bay Beach is a few footsteps from the condo. It offers water protected by a coral reef that surrounds most of the bay with fabulous snorkeling and a great sand beach. From just playing in the sand to swimming laps in the bay, it is without doubt, one of the finest beaches anywhere. On the whole side of the condo that is facing the ocean are lanais. 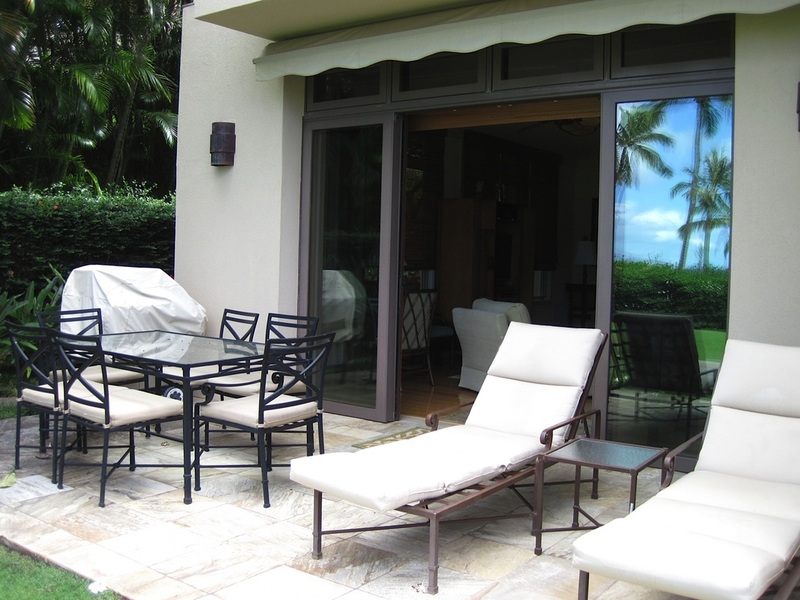 The Living room lanai opens with pocket doors and becomes part of the house when open. 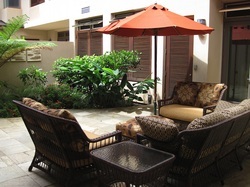 The Dining room lanai is an extension of the kitchen and is a great outdoor eating spot. 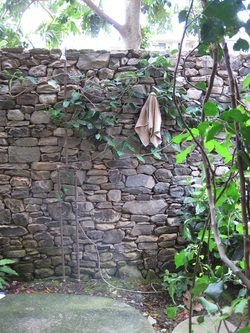 The atrium extends around to the back of the house where there is a small garden and private outdoor shower. 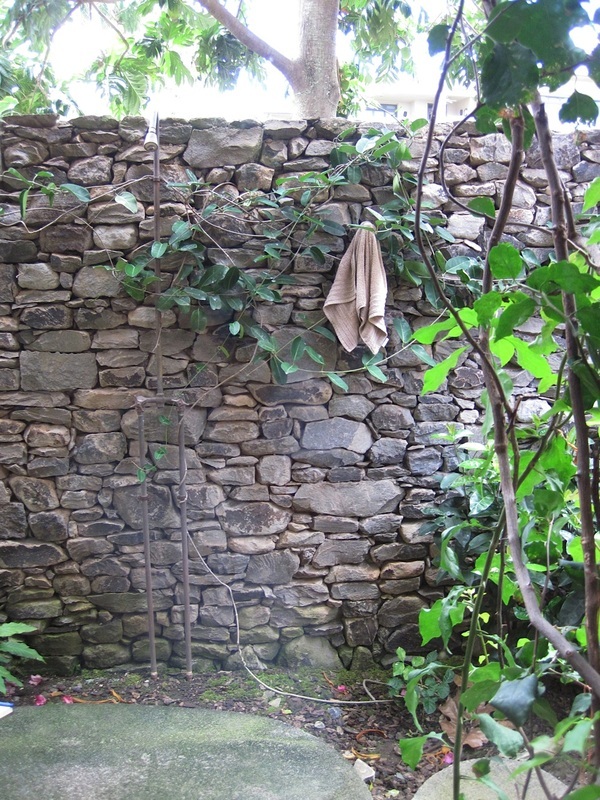 A well-equipped exercise room is adjacent to the pool and hot tub.